The sun is a little lower in the sky, and sleeps in longer than I do these days. After the time change, I feel a little bit like I’m stuck in a time warp. Do you know that feeling? I have much on my heart  and feel ready for the colder temperatures as a signal from nature to turn inward and focus deeper and work on me. Turning inward doesn’t mean turning everything in my world and work off, in fact, winter will be quite busy. 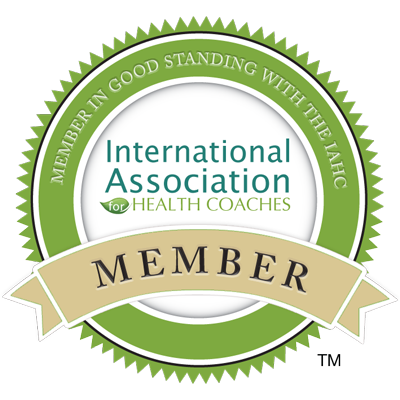 I’m amping up for another round of students as I mentor for The Institute for Integrative Nutrition. I’m gathering resources, taking notes on topics I’ll be working with them on, and watching updated classes, so that I can be relevant in our conversations. I love my work with this school, it always feels really fulfilling to lift others up to their potential. However, it’s a striking contrast to my in between schedule, filled with open space to do what needs to be done. The holidays here in the U.S. are coming quickly with all the tasks of decorating, holiday cards and letters, gatherings, cooking and baking for the season, and New Year plans. We have winter birthdays, as well. We will have a visit from my daughter and grand daughter. My client roster is full. I’ve made promises to my tribe for January for new content. So how in the world am I going to get through the next few months AND have time for deep reflection? I’m going to MAKE time. We always have time for what is most important to us. The New Year is right around the corner, and I don’t want to be so immersed in chaos that I miss these (supposed to be) fun next two months. Presence will be the recipe so I can enjoy this moment and mindfully make time for what I need to do in the short time I’ll have to do it. Do you know what I mean? Here are a few tips for you to create space to turn inward, in the essential season of slowing down. 1. Realize the contrast of nature’s timing vs. holiday  season. Winter is a time for slowing down, turning off, turning in, stepping back, being still, reflecting. This is happening in everything else around this Earthly existence but people want to make things stressful, so we have holidays. *wink. 2. Check in with your expectations of yourself and those around you. Really. Do you need to do ALL those things? Must you attend all of the events? Do you need to BUY all that STUFF? Look deeper. What is most important to you this season? How can you fulfill this without the big stressful production? This was a journey for me too. 3. Identify time for you. Then honor it. No one will do this for you. My usual time for reflection is in the morning – usually EARLY in the morning. I journal, think, read, watch the sun come up, journal some more. Sometimes I work out early, sometimes I make a lovely breakfast, but usually it’s just quiet time. Winter will be more times squeezed in, like I expressed above. It will be more focused and with intention. If you need to, block it on your calendar. 4. Communicate. It’s not as easy as it sounds. I set boundaries with myself and them, I ask them to please let me have this time just over the next month or so and just a little bit here and there. 5. Be intentional. When you do take time, don’t fill it with distractions. Honestly, how often do you do this?! Turn everything off and give your self space to think. Write down your thoughts, ideas, interests, and intentions. Write down your fears. What you accomplished last year. What was hard or that you didn’t get to accomplish. What excuses you used. What will work going forward. What you are willing to do. Write it all out. Get really, really clear. You can use this as a foundation for your goals for the New Year, or an action plan for what’s next. It’s up to you. 7. Enjoy. Enjoy the buzz of the season knowing you have time for peace and quiet. Enjoy your kids, being a mom, setting the tone and pace for all those in your home. Sing the songs of the season, listen to the excitement, open to the gifts of the quickly passing time. It’s a special time and can be filled with hope, love, magic, lessons, and memories. Don’t let yourself get swept up. I wish you a month filled with moments to be grateful for. Next Next post: Let the Planning Begin!